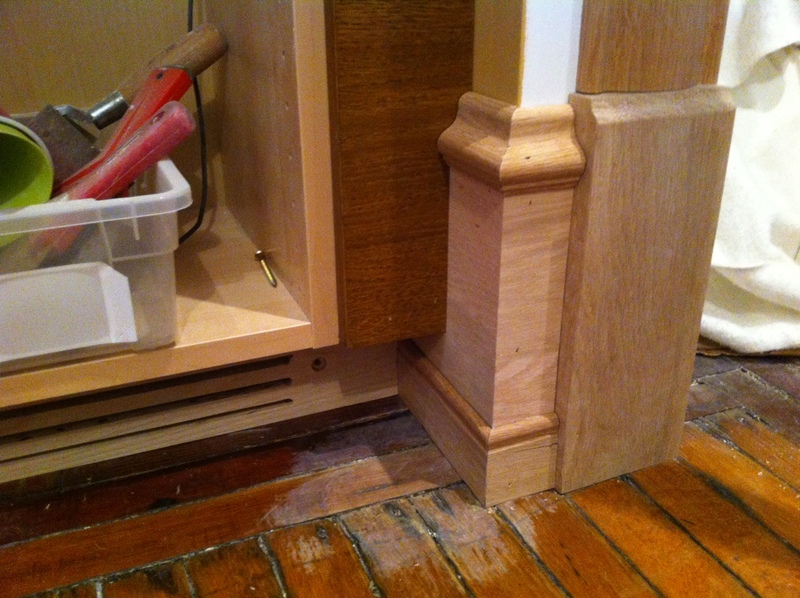 Today we finished the trim around the cabinets in the Living Room, which included the baseboard on either side, the toe kick, and the side in-fills. 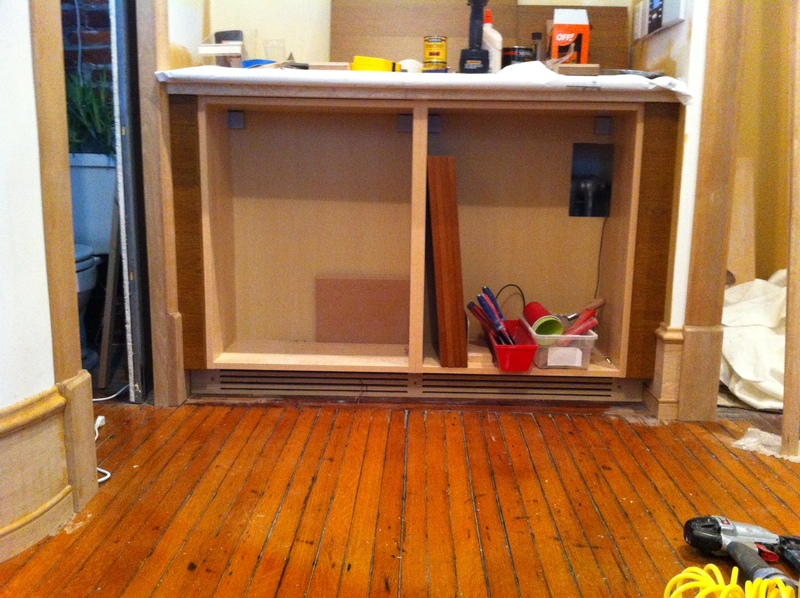 When we built the credenza we concealed a radiator behind it so we need to include air slots in the toe kick. The cold air enters at the bottom, is heated up at the radiator, and is then pulled up and out the slots in the stone top through natural convection. 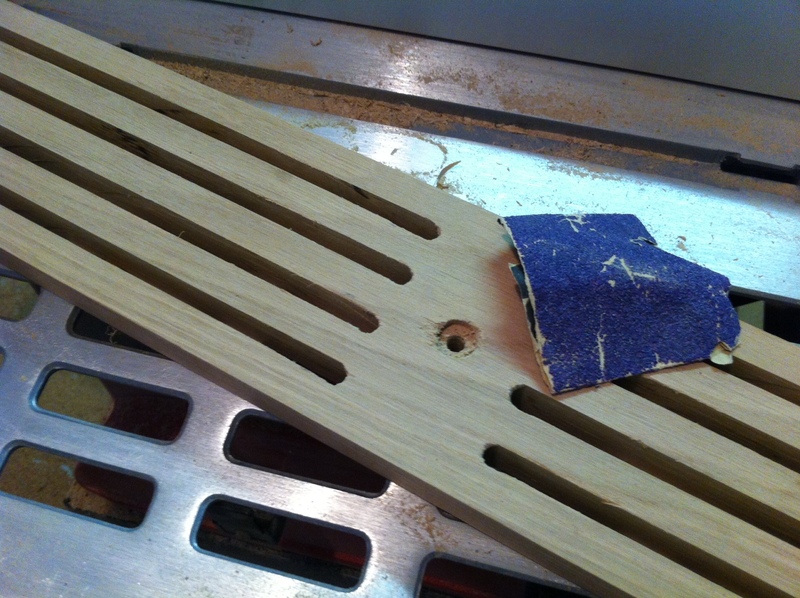 We used 3/4″ oak and cut the slots on the table saw. 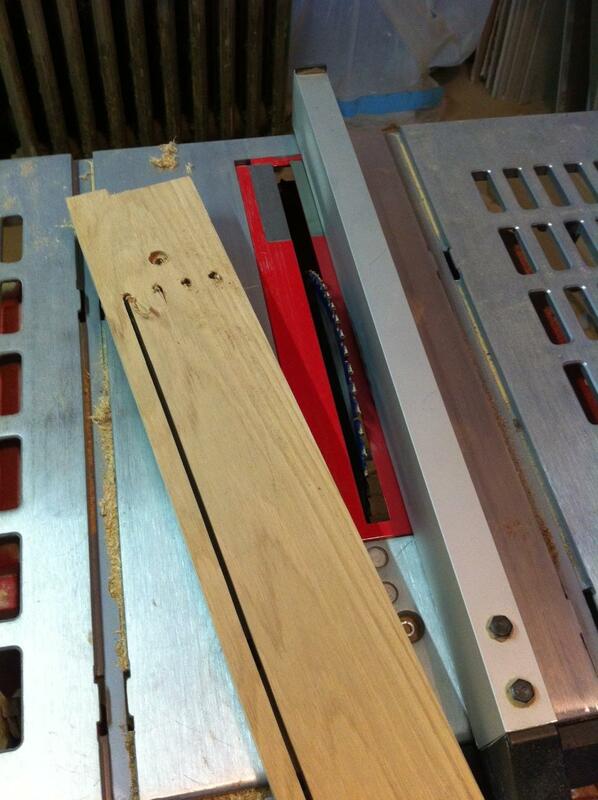 It will be attached with countersunk screws for easy future access. So here is everything installed. Doors still to come. That is a lot of baseboard for a little wall. So now that the baseboard is all done in the Living Room it’s time to move on to the half bath. For more work room I took the toilet out, which Kelly may use as an excuse to buy a new toilet. 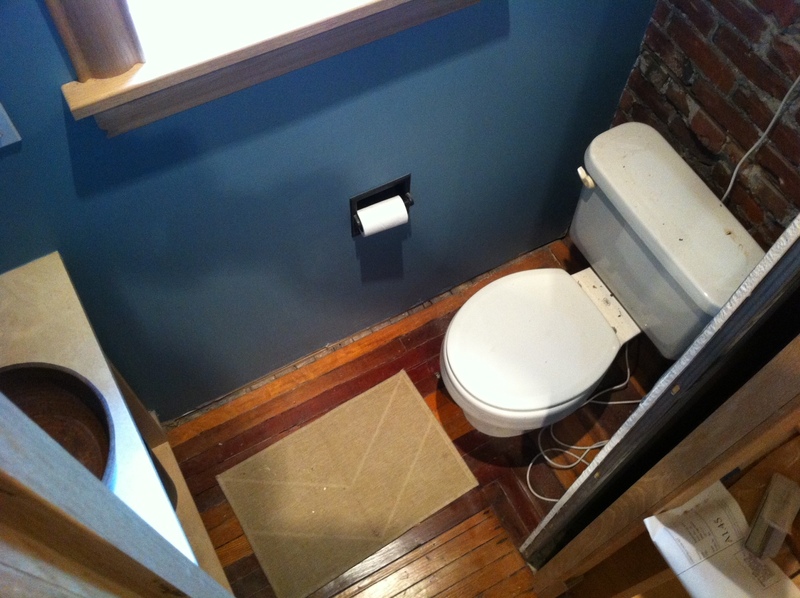 This one came with the house in the upstairs bathroom and when we demo’ed that room it came downstairs as the construction toilet. 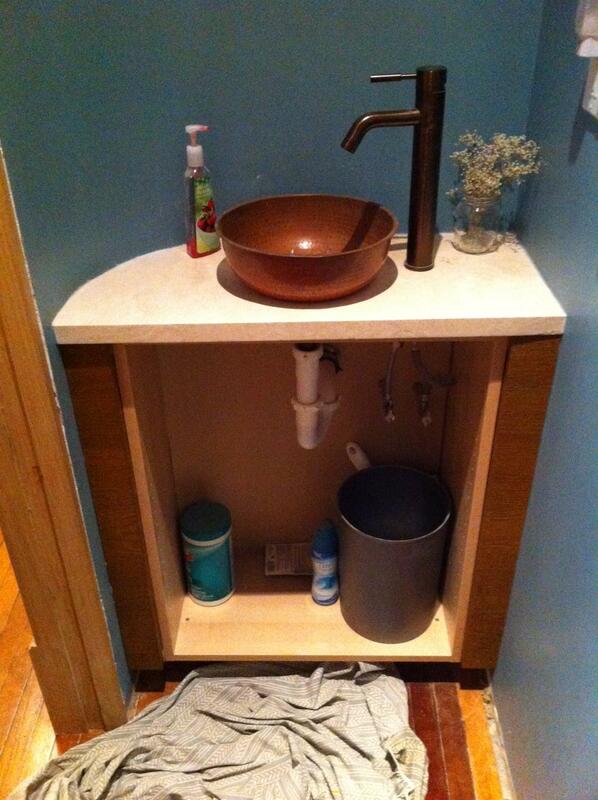 We installed it in the corner of the then living room and built the bathroom around the toilet. 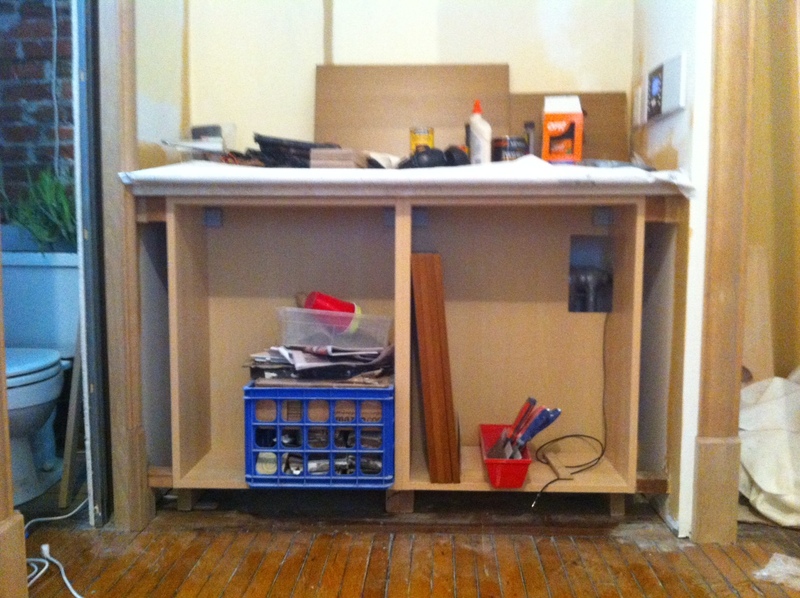 To start in here the cabinets got their side infill peices. Again doors still to come. 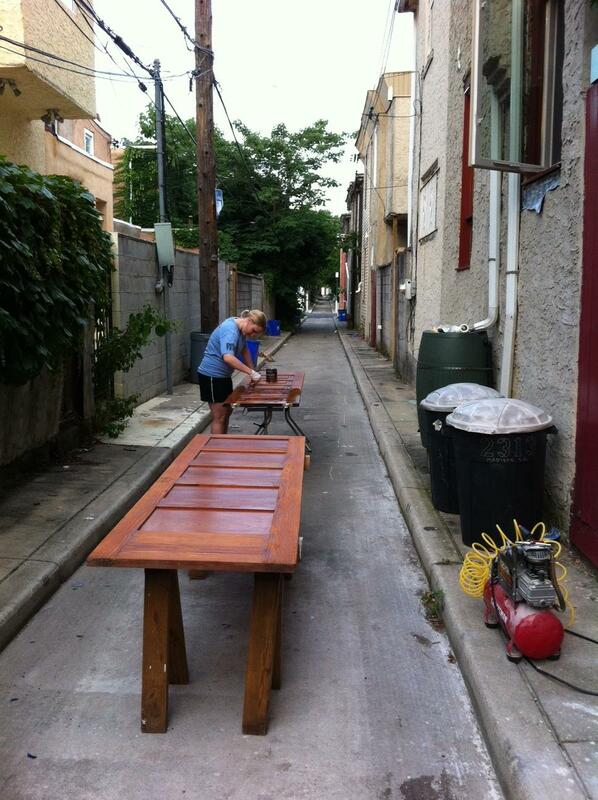 Meanwhile Kelly was in the alley polyurethaning the refinished doors. One coat down two to go. We are in the middle of renovating our upstairs bath and hired someone to do it and yet I am still anxious about the whole project. I give you credit for doing such a great job. I absolutely love the sink, it look like copper, just beautiful. Thanks! We really like our copper sink in our powder room. Good luck on your bathroom project!